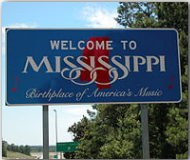 Mississippi is traditionally one of the more rural states in the Union; not until 1965 did manufacturing take over as the leading revenue-producing sector of its economy. In 2000, Mississippi ranked third in the nation in the production of cotton, but soil erosion resulting from overcultivation and the destruction caused by the boll weevil have led to the increased agricultural diversification. The other most important crops are rice and soybeans. Today broiler chicken production, aquaculture (chiefly catfish raising), and dairying are increasingly important. The state’s most valuable mineral resources, petroleum and natural gas, have been developed only since the 1930s. Industry has grown rapidly with the development of oil resources and has been helped by the Tennessee Valley Authority and by a state program to balance agriculture with industry, under which many communities have subsidized and attracted new industries. Revenue from industrial products, including chemicals, plastics, foods, and wood products, have exceeded those from agriculture in recent years. On the Gulf coast there is a profitable fishing and seafood processing industry, and gambling is now booming in Biloxi and in long impoverished Tunica County, in the northwest. There are military air facilities at Columbus, Biloxi, and Meridian, as well as the Stennis Space Flight Center at Bay St. Louis. The state’s per capita income, however, remains the lowest in the nation.